Intensive courses usually start in June and September. Every Intensive course runs for four weeks. Lessons are two hours and fifteen minutes long from Monday to Friday. Each course includes all the materials needed for the lessons and book(s). The total number of hours is 50 (40 hours in class + 10 Guided Study). Classes have a maximum of 12 students and are led by teachers of English who are qualified and have a full mastery of English across all 4 skills, CEFR C2. For those who have never studied English before it is possible to join Level 1. 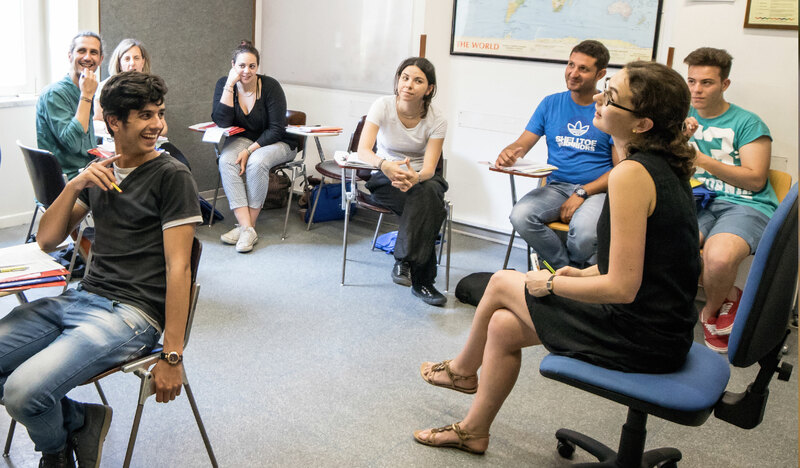 Those who have studied the language before will be able to find out their European level with a free Placement Test and join the course that is best suited to their learning needs.